Resorts and hotels — with their varied occupancy types and schedules, high guest expectations, custom building systems, and expensive energy demands — require energy management. All too often, the facilities staff does not have the time or resources to identify and develop energy efficiency opportunities that will improve building system functionality and save operating costs. With many years of hands-on building commissioning work and energy efficiency program evaluations, Cx Associates has the expertise to help you reduce operating costs and ensure superior guest experience by identifying, planning, and verifying energy efficiency upgrades. Running a large and sometimes aging facility is no easy task. When issues like higher than expected energy bills or equipment failures occur, it can feel like a game of whack- a-mole just to keep equipment operational and guests happy. Planning and prioritizing equipment upgrades often takes a back seat to other more pressing operational issues. Cx Associates can provide you with a road map that addresses your biggest pain points first and guides your team to long term operational efficiency. Energy audits coupled with a clear plan for execution can help your facility manage and reduce operating costs over time, thus financially weatherproofing against guests’ continually growing energy demands. 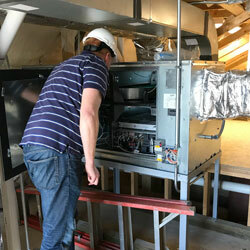 Retrocommissioning identifies and implements programming and other adjustments to building systems in order to improve the efficiency and efficacy of the equipment. Your facility is comprised of several buildings and systems that have evolved over time, and requires a schedule of almost continuous system assessment and replacement. Cx Associates takes a holistic approach by studying the disparate systems, recognizing occupant needs, sniffing out problem areas, and prioritizing improvements. 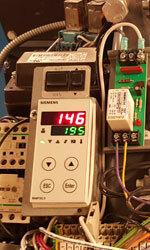 In addition to realizing energy savings, retrocommissioning extends equipment life by improving operating conditions. After retrocommissioning, you will rest assured in knowing that your buildings will be able to meet the constant and heavy energy demands of guests, thus ensuring occupant comfort and day and night. Capital project spending is challenging. Budgets are tight and competition for investment dollars is rightfully tough. Before committing the budget for an equipment overhaul, energy modeling can help chart the course for the upgrades. Building energy modeling is a powerful tool used to understand the energy consumption of all the building systems. Cx Associates has developed hundreds of energy models, calibrated to utility and equipment meter data for an accurate picture of how your buildings use energy and what drives building peaks. Models are a tool that will help you prioritize investments in energy efficiency and inform long range planning. Because resorts are big energy consumers, they are major contributors to the pool of money that funds energy efficiency incentive programs in your area. Recouping those dollars happens in two ways — the incentives you receive from participating and the energy savings you achieve which reduces your total energy bill. As a maintenance director, accessing these dollars will offset the costs for audits, retrocommissioning, and new equipment. Cx Associates has a long track record of working with efficiency programs, maximizing their financial support for projects, and calculating and delivering reliable energy savings that you and your facility can count on. We can serve as your liaison to maximize incentives, simplify paperwork, and meet program requirements to streamline the participation process for you. Equipment retro ts can address a variety of problems by eliminating issues associated with oversizing, increasing control and monitoring capability, and enhancing guest comfort, all while delivering cost effective energy savings for your facility. As a resort, you must maximize room for guests by reducing space consumed by equipment, ensure that guests’ high energy demands are being met, and reduce the frequency and duration operational failures. Cx Associates will identify the advantages offered by retro t projects, help you receive funding to keep your buildings operating optimally, and design the upgrades to ensure your retro t project delivers the promised benefits, including elevated guest experience. Resorts frequently lack the building-level metering necessary to accurately track energy use. When you invest money in an equipment upgrade, the cost benefit created by energy savings are hard to identify in your facility-wide energy bill. Project M&V provides direct feedback on the performance of upgrades so that you can document the return on capital and operational investments in your resort. By providing meter-based evidence of pre/post energy consumption for upgraded systems, you can recognize success and build the case for future projects. Additionally, by integrating permanent metering into your projects, you can begin to tune in the picture of energy consumption across your facility.